While Reliance Jio extended the free Jio Welcome Offer till March 2017, analysts suggest that the company may mange to reach its 100 million subscriber target. 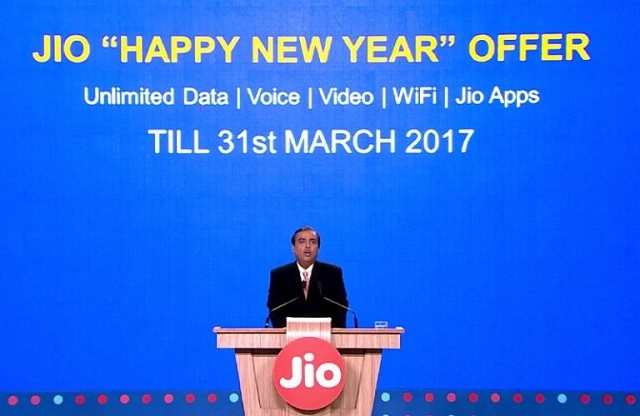 According to JP Morgan, at the current pace Reliance Jio should clock 100 million subscribers by the end of March 2017 when the free Jio Happy New Year Offer ends. Interestingly, Morgan Stanley expects to reach 90 million customers but also expects the operator to have 45 million paying customers in the FY18, considering that the company starts charging for its services from April 2017. However most of the analysts believe that Reliance Jio would manage to retain its customers due to the new regulations imposed. The reduction in the per day data limit from 4 GB to 1 GB would reduce the network load and offer a better experience to its users. This is expected to increase the share of users who continue with the company, post-expiry of the free offer. Given the usage patterns, it is quite obvious that a drastic increase of the network consumption due to doubling the user base would nevertheless cause a reduction in the speeds despite any attempts made by the operator to improve the network. Moreover considering that most of the subscribers are using the Reliance Jio service only for the free data, we expect a reduction in user base once the company starts charging for the data services.